Breakfast at hotel. Transfer to Gruž harbor and embarkation. Meet your fellow travelers and your Cruise Manager at an onboard Welcome reception followed by a dinner. This evening you can relax or take a walk through Dubrovnik’s vibrant streets. We set sail for the island of Korčula early in the morning, with swimming stop, if weather permits, in one of pristine bays, time to cool off, relax and lunch onboard. Continue towards Korčula, the most preserved medieval town whose street design is based on a fi sh bone patt ern, to spend the night there. 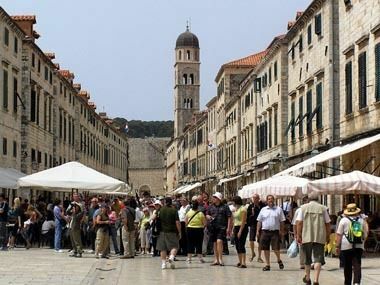 Take the walking tour of Korčula which takes you through its narrow, cobbled streets full of history. Evening is free to explore the town on your own. Our journey then continues towards Pučišća, situated on the island of Brač, village of the stone sculpture and music culture Pučišća, where you can visit amazing stonemason school (optional). Lunch onboard. Enjoy a swim in one of Brač’s many lovely coves and bays, if weather permits. Overnight on board. We depart for Omiš before breakfast, it’s fortresses are silent stone reminders of the power and might of the infamous pirates who once made their homes and fortunes here. You will have a possibility to book a short walking tour, followed by boarding a small boat and sail into Cetina River Canyon, a protected nature area, continuing to Radman Mills for a local specialty snack. Aft er visiting Omiš set sail to Split with a stop along the way to swim, cool off and relax, if weather permits, with lunch onboard. In the late aft ernoon we arrive at Split to spend the night. The historical center of the city is listed as a UNESCO World Heritage site. Your evening is free in Split. Stop in Bol, a small town on Island Brač, for a swim at the Golden Horn. Enjoy the 530 m long golden pebble beach said to be the best in Croatia. It is unique in that it changes shape and position depending on the winds. Return to your boat for lunch, then head to Hvar. Hvar is one of the most popular islands in the Adriatic and a meeting point for the international jet set. The “Croatian Madeira” is also one of the longest islands stretching along the shores of Croatia. A sightseeing tour of Hvar town shows you the first public theatre in Europe (older than Shakespeare’s theatre in the UK) and many more historical sites. Your evening is free to explore Hvar on your own. Departing from Hvar in the morning, our sail to Mljet Island includes a stop for swimming, if weather permits, and lunch onboard. Croatian “Greenest Island” will hypnotize you with its beautiful, untouched nature and its cultural heritage. We arrive in the heart of Mljet National Park which encompasses five types of forests, many species of birds and two deep lakes. If you want to visit Mljet National Park, walk to the entrance where you can purchase the ticket to walk around the Great Lake and the Small Lake and join the boat ride to St. Mary Island. Have Captain’s dinner onboard. We will spend the night in Mljet. In the morning we continue our adventure by sailing back to Dubrovnik with lunch onboard with stop for swimming. Early in the afternoon we arrive in Dubrovnik, where we will spend the night. 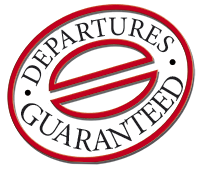 In case of unfavorable weather and/or sea conditions, the cruise itinerary may be modified in the interest of passengers’ safety. Operator reserves the right to change the vessel provider in case the contracted services are not supplied according to previously agreed standards. Drinks on board, extra meals. Tourist tax + Port tax: 35 EUR per person to be paid on board in cash.